Lakewood is the largest arts provider in Clackamas County. We offer three primary areas of programming: theater, visual arts, and arts education. We provide a home for smaller arts, civic groups, and individuals. 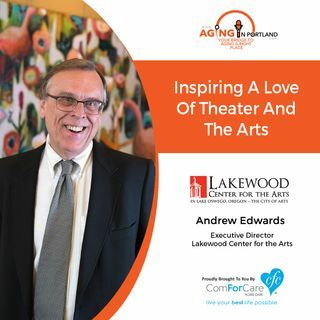 Our component divisions include Lakewood Theatre Company, Lake Oswego Festival of the Arts, and Lakewood Entryway Gallery. Executive Director Andrew Edwards shares the many programs seniors and families of all ages can enjoy. The play "Inherit The Wind" is now playing through ... See More December 2018.